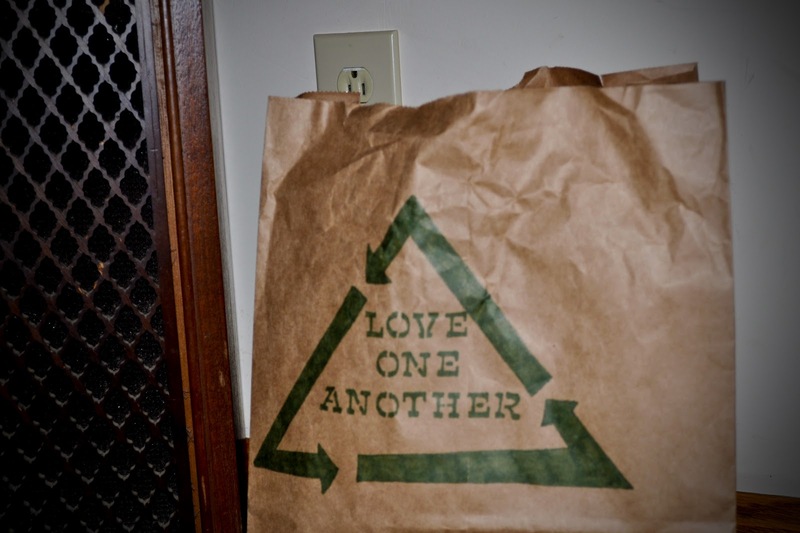 Today is Paper Bag Day in the 365 book. One of the things we do around here is use paper bags as recycling bins. That's right, a recycling bin made out of recyclable material! I drew my version of a recycling symbol on this one in pencil and marker. With some more time and supplies, you could make an even prettier looking one. Imagine a receptacle you'll not only will want to use, but is also a piece of art you could keep in your house. Art everywhere and earth friendly!